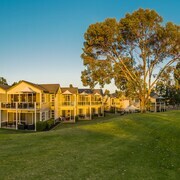 Situated in a shopping district, this luxury hotel is 2.6 mi (4.2 km) from Mullaloo Beach and 4.2 mi (6.7 km) from Westfield Whitford City. 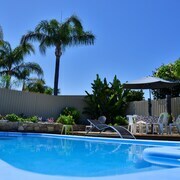 ideal for a luxury short stay We chose this as a special treat for my wife's 80th, overnight in a suite and a buffet dinner for all members of our family. Everything was spot on, and was a memorable experience for us all. 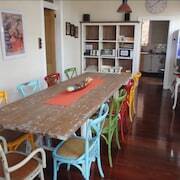 Situated by the ocean, this luxury bed & breakfast is within 1 mi (2 km) of Trigg Beach and Scarborough Beach. Sorrento Beach is 2.7 mi (4.3 km) away. Friendly home away from home. 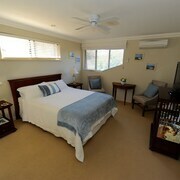 Walking distance to Trigg beach waterfront, in a quiet street off the main drag. Lovely couple very warm and friendly. Modern room with quality fittings, clean, neat, comfortable. Clean, comfy and overall very good value for money. Will definitely stay their again. Right next to Warwick Shopping Centre and Cinema Friendly, helpful host. Breakfast was lovely. Have you been teeing off on the same old green for months? Or been playing so much virtual golf, you’ve started to look like a vampire? It’s time to switch up your routine and hit the links. 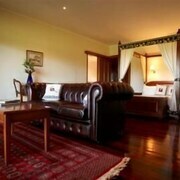 You don’t even have to plan beyond the next 18 holes with Perth hotels near a golf course on lastminute.com.au. You’ll be so close to the action, you can improve your game and get a little R&R without even breaking a sweat (well, maybe a little sweat). You’ll definitely hit a hole in one when you start your day at the driving range; get a grip on the green with your mates, then unwind at the club bar. You’ll be so close to the fairway, you may be able to hit a hole in one from your hotel lobby. 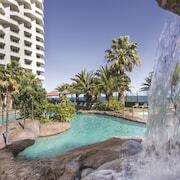 Whether you’re travelling for business or pleasure, Perth golf resorts make it easy to channel your inner Greg Norman. From golf gurus to total newbies, we’ve got options to make every traveller feel like they won the Grand Slam. Your short game shouldn’t suffer just because you’re short on memory. 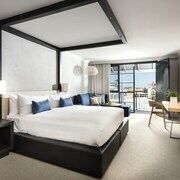 Find great last minute deals on Perth hotels near golf courses, so you can act like you had your golf getaway planned from the get-go. Our lastminute discounts will have you yelling “Fore!” in celebration right at your computer. Jettison those junk emails and get ready to ignore your inbox—all you need to worry about is your backswing.